Psychrotrophic, lactic acid-producing bacteria from anoxic waters in Ace Lake, Antarctica; Carnobacterium funditum sp. 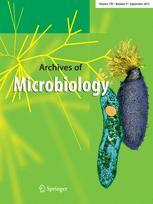 nov. and Carnobacterium alterfunditum sp. nov.